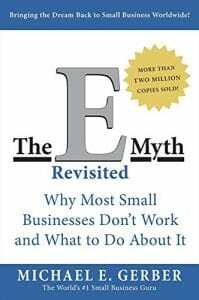 I first read this book in high school and it’s been a huge influence on how I’ve thought about my businesses so far. My key takeaway was that you can work “in” your business or “on” your business. When you teach a lesson, you are working “in” your business. When you set up a system (or hire someone to set up a system) to automate billing so you can take work off your plate, you are working “on” your business. This is required reading for anyone who is running (or thinking of running) a multi-teacher studio, but private teachers will get a lot out of it as well. It gets to the heart of the mental shift that needs to happen to be successful in the role of music school owner. The concepts are deep, but the book is easy to digest. It’s a good one to listen to in audiobook format while you’re doing your summer thang! This book is all about setting meaningful goals and having a system to track them so progress keeps happening. The authors propose that the typical “annual goal-setting” practice isn’t helpful (I tend to agree!). By shortening the year from 52 weeks to 12, each week feels more significant so we’re more motivated to stay engaged with our goals. I picked up this book a couple years ago when I wanted more structure around the way I set and tracked goals. It was exactly what I needed and I’ve continued to follow the methodology outlined in the book. I shared some other takeaways in these posts: What Was Missing from My Goal-Setting System and Track Goal Progress in a Meaningful Way. 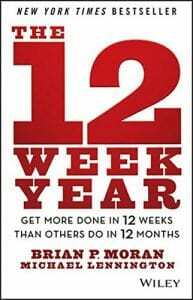 The 12 Week Year is an easy read but does take time and concentration to process and put into action. For me, this book makes good airplane reading! 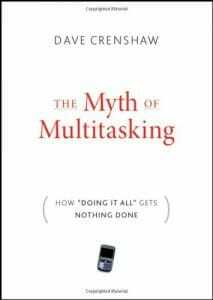 I have to re-read this book every year or so to renew my conviction that multitasking kills productivity! Thankfully, this book is small and has delightfully short little chapters. It’s great for reading in small bursts. This might be contrary to the point of the book, but if you’re in a setting where you might be interrupted (maybe hanging out with the fam at the pool or waiting for a flight), this is a great book to have with you. Even if your design responsibilities end at crafting Instagram posts or recital programs, you need to read this book. 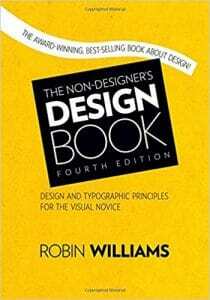 It lays out a few very simple rules of design and gives tons of examples to illustrate how to turn an average design into a great design. I sat down and read this book cover-to-cover, but it’s also skimmable (an example of reader-friendly graphic design 😉), which makes it a great desk reference. It almost reads like a comic book because of all the pictures. This book is the closest I have ever come to a graphic design class. I follow the rules and I get compliments on my graphic design work all the time. 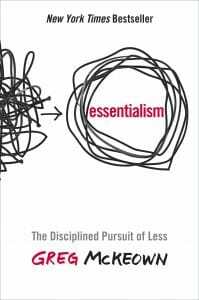 I don’t know that I got any life-changing insights from this book, but taking the time to read it gave me space to think about what I might have already known intuitively and helped me make some important decisions about how I spend my time. It’s a good book to read during a leisurely afternoon on the beach. What books are on your reading lists? I’ve got a vacation coming up! What books should I bring with me? FYI: This post contains affiliate links. If you use these links to make a purchase it doesn’t cost you anything, but Amazon sends me a tip!